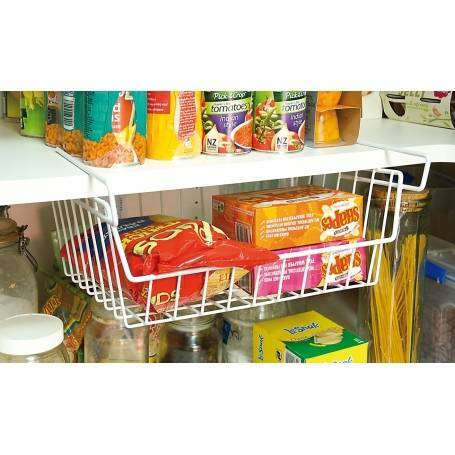 This handy white coated wire basket is a great space saver in the pantry. It easily fits over the shelf above to create more space below it. Ideal for packing away satchets, boxes or smaller items.